Two 75-year-old Howard University dormitory buildings will be converted into apartments as the university continues to capitalize on its real estate holdings to fund campus projects. WASHINGTON — Two 75-year-old Howard University dormitory buildings will be converted into apartments as the university continues to capitalize on its real estate holdings to fund campus projects. 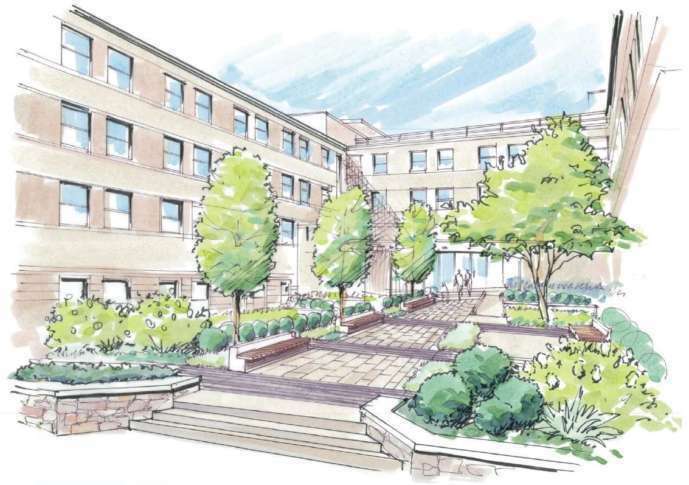 Howard University has partnered with D.C.-based Urban Investment Partners and Neighborhood Development Corporation to redevelop Carver Hall and Slowe Hall as 162 rental apartments. Howard University’s Real Estate Development and Capital Asset Management team requested proposals for the two buildings from developers in early 2017. The university will retain ownership of the properties and receive some of the revenue generated by the apartments. The cost of the redevelopment, including ground lease payments and redevelopment costs, is $50 million. The redevelopment partnership agreement also provides scholarships and internships for Howard University students. Carver Hall, at 211 Elm St. NW, and Lucy Diggs Slowe Hall, at 1919 3rd St. NW, in the LeDroit Park neighborhood, were both built to accommodate War Department workers in 1942 and served as campus dormitories for more than 60 years. They have been unoccupied since 2012. The school received Zoning Commission approval earlier this year to remove both buildings from its campus plan boundary as part of its evaluation of real estate holdings and ways to capitalize on them to fund university projects. “The strategy to diversify and improve university revenue streams is being furthered by innovative transactions such as these,” said Howard University President Wayne A.I. Frederick. “They will deliver capital to fund other campus modernization initiatives such as a new undergraduate library, renovated program space for the School of Nursing and Allied Health and the necessary preplanning work for a new building for the School of Communications,” Frederick said. Construction will begin in early 2018. The apartments will include studio, one-bedroom and two-bedroom apartments, a fitness center, a resident lounge and outdoor amenities. Carver Hall will include 15 lofts with 16-foot ceilings. Howard University will provide up to 50 parking spaces for residents at one of its nearby parking facilities. Bonstra Haresign is the architect for both projects. Urban Investment Partners will manage the apartment buildings once complete. Urban Investment Partners specializes in renovating older buildings to apartments and condominiums. It has renovated, restored and built more than 30 downtown apartment buildings and condos over the last 10 years.